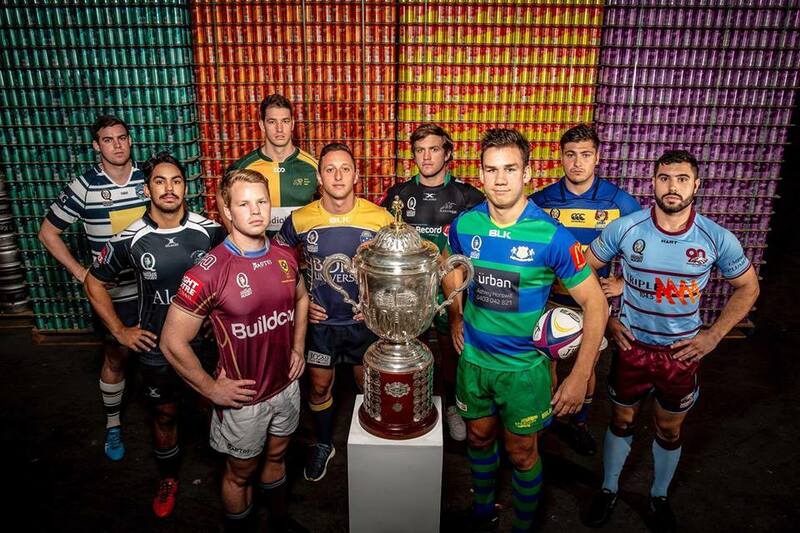 Souths, Brothers, Wests and UQ all impressed on the opening weekend of the 2019 QLD Premier Rugby season, while Bond and Easts both showed positive signs despite having little to show for it. Ahead of round two this weekend, Rugby News has taken a look at all four Premier Rugby clashes to bring you the latest from the camps ahead of Saturday. Souths showed why they’ve been talked about as the team to watch this year with an impressive 46-14 win over Sunnybank in round one. Fullback Jayden Ngamanu and No.8 Caleb Timu both bagged doubles in the bonus point win as the Magpies proved their muscle up front is matched by their flair out wide. 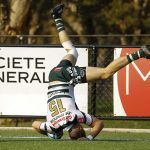 If you get a chance, take a look at the 95 metre counter attack try Souths scored midway through the second half last week. You won’t see many better. Unfortunately for the Magpies, both Ngamanu and Timu will miss Saturday’s clash against Brothers after Ngamanu picked up a hamstring injury and Timu received a red card. Young gun Sunia Finefeuiaki will start at No.8 while Emori Waqavulagi moves back to fullback. Brothers were also impressive in their season opener and held off a late charge from Bond to claim a well deserved 26-20 win in front of the newly launched “Butchery” at Crosby Park. “It wasn’t the prettiest of wins but we were really happy with our overall effort, our intent and our character, particularly in defence,” Brothers Director of Rugby Ryan Shultz told Rugby News. 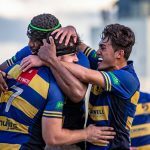 Brothers skipper Tom Moloney returns to the starting XV after playing in Twiggy Forrest’s World XV side against the Force last weekend while lock Bradford Kapa will start his first match this year after moving up from Sydney. “We can beat Souths if we control our own possession and minimise the number of unstructured opportunities we give them,” Shultz said. Wests opened their 2019 campaign in style with a seven try victory over Norths at Shaw Rd. 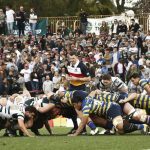 The Bulldogs scored five unanswered tries in the first half and put the result almost beyond doubt before oranges, then added a further two five pointers late in the match. After a perfect afternoon with the boot in round one, Issac Henry shifts from flyhalf to inside centre ahead of Saturday’s clash against Sunnybank to make room for star schoolboy Carter Gordon to start his first Premier Rugby match. The Australian Schoolboy, who was signed by the Reds late last year, is one of the most exciting young talents in Australian rugby and plenty of Dogs fans will be excited to see him in yellow and green this weekend. Sunnybank were disappointing in a 46-14 opening round loss to an in form Souths outfit at home last week but coach Damon Virtue said he could still take some positives out of the performance. “We created plenty of opportunities, something like 13 or 14 line breaks last week but we just weren’t able to finish them off. We need to start looking after the ball and playing with a little more patience,” Virtue said. Hayden Sargeant, Ahmu Tuimalealiifano and Dillon Wihongi all come into the starting side for Saturday’s clash against Wests, that Virtue thinks will be one up front. “Set piece will be really important,” he said. “Wests are a big side and their forwards were really impressive last week so I think they will come at us there. They’ve also got some talented backs and are fairly solid across the park, so it’ll be a good challenge. Bond were forced to pay dearly for a number of lapses in concentration in their six point loss to Brothers at Crosby Park last week. After conceding a try inside the opening 40 seconds, Bond fought back and led midway through the first half but fell asleep after that and leaked two more tries before the halftime break. Controversially, they opted for points on two occasions when they were deep inside Brothers’ territory and while that may have eventually cost them in Saturday’s six point loss, captain Harry Nucifora said its a tactic they’ll stick with moving forward. “I don’t think a lot of teams in this competition do it (take penalty goals) but certainly in the professional teams, creating scoreboard pressure does things to teams and makes them make different decisions,” he said earlier this week. 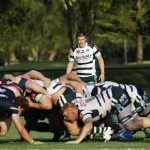 Bond return to the Gold Coast to host a UQ side who were forced to work for their points against Easts in round one. With the scores locked at 12-12 midway through the second half, last year’s grand finalists shifted up a gear and ran in four tries in the final 20 minutes to blow the scoreline out. “I was pleased that we were able to stay in the fight despite the amount of errors we made,” UQ coach Mick Heenan said. James Dalgeish returns to the starting side at flyhalf after missing round one and will partner Sairusi Lalanabaravi in the halves. “At this point of the season it’s about trying to build cohesion so we’re still looking to improve in most areas,” Heenan added. “Bond are a well organised and physical side so it’ll be a good test. Easts produced 60 minutes of quality rugby against UQ last Saturday then 20 minutes of footy they’d probably rather forget. Four University tries in the final 20 minutes ended all hope of a round one upset but there were plenty of positive signs for the Tigers on the opening weekend. Tigers coach Mosese Rauluni has made a number of changes to his side to play the defending premiers on Saturday, with Carter Ozanne named to start at prop, Henry Olsen added to the back row and Shane Kennedy named on the wing. After a bye in round one, Jeeps will start their title defence with plenty of confidence on the back of an impressive victory over Sydney Uni in the Australian Club Championships. We spoke to skipper Dan Gorman about life as premiers, the new faces in the GPS squad and this week’s clash against Easts earlier this week.